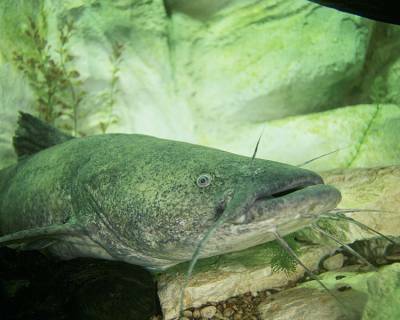 The Illinois Department of Natural Resources (IDNR) is developing plans to stock flathead catfish and channel catfish in the Rock River later this year as part of a continuing effort to speed the recovery of the river's fishery in the aftermath of a June 2009 fish kill. Tens of thousands of sport fish were lost in the Rock River fish kill event first reported on June 20-21, 2009. At that time, dead fish were discovered in the Rock River in an area from two miles north of Grand Detour to 50 miles downstream at Prophetstown. The IDNR stocked the river with smallmouth bass and northern pike last summer and channel catfish last fall in the aftermath of the fish kill. "At a recent meeting of area anglers, we again heard loud and clear how important the Rock River fishery is to them and to all of those who enjoy fishing from throughout the region," said Dan Sallee, regional administrator for the IDNR Division of Fisheries. "The Rock River fishery is very important to the local anglers and to the communities along the river. Although the fishery is expected to fully recover, the public would like to see all possible efforts made to speed this recovery." IDNR fisheries biologists this spring plan to collect and relocate up to 100 pairs of flathead catfish into areas of the Rock River that were affected by the fish kill. At the same time, IDNR personnel will relocate pre-spawn channel catfish to the same area of the Rock River, and further supplement the channel catfish population by stocking small fish from state hatcheries. "Individual female flathead catfish may lay 100,000 eggs or more. If only one in 1,000 of these eggs survives and thrives, this stocking level would result in an increase of up to 10,000 flathead catfish in the population," Sallee said. "This number of spawning pairs should speed the recovery of the fish kill zone. The channel catfish stocking will also be beneficial." Anglers with questions about the Rock River fishery can contact IDNR District Fisheries Biologist Ken Clodfelter at 815/454-2759.